This puppy needs a special family ready to love her. NADJA was transported to PA from Florida right out of a HIGH Kill Shelter…not exactly sure what happened BUT the Adopter decided she didn’t want her and did not feed her! This wonderful woman named Sheila heard about the situation and literally ran over to get the dog…an hour away! The adopter did not want to relinquish the dog UNTIL her adoption fee was returned. Somehow Sheila got the dog and took her HOME. Sheila rescues cats but she could NOT let this dog suffer any more than she already had. 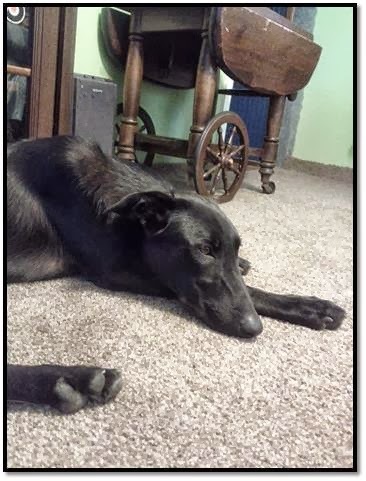 Sheila has had Nadja for 3 weeks now…not able to afford training she is having trouble with Nadja lunging at the cats…and can not be left alone with them. Sheila had hoped to be able to HOME the dog but it will not be possible. She LOVES the dog but there is too much discomfort in the house with her beloved cats. They are miserable!!! Sheila cannot keep Nadja so advice is not what we need. This beautiful girl DESERVES a chance at a good life…She is VERY SMART and DEVOTED. Can someone offer her the HOME she needs?? 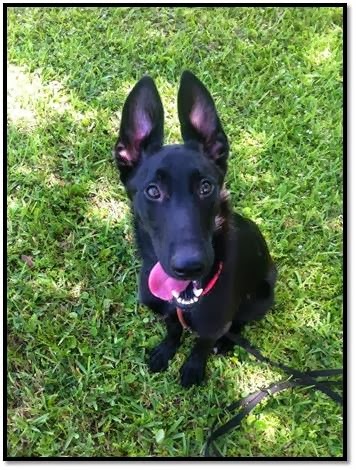 NADJA…This sweet female puppy needs a SAVVY HOME who will TRAIN a PUPPY…she does have High Prey Drive…but so do many dogs…Proper Training Needed…She is a PUPPY!!! UTD on shots…Gorgeous Dog…Loves WOMEN!! !